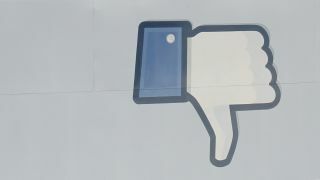 Facebook is now the worst-performing IPO since records began, according to Bloomberg. Shares dropped to a brutal $19.05 (£12.13) in New York on Friday evening after restrictions on its largest 'insider' investors selling shares were lifted on Thursday. Compared to the opening price of $38, the social network has lost 50 per cent of its value since the floatation in May, including a 4.1 per cent fall on Friday. More sales restrictions are expected to be lifted in the coming months, so Facebook's stock may remain in the doldrums for quite some time yet. Despite $600m (£382m) being knocked off his personal fortune on Thursday (don't worry, he's still worth about $10 billion) and more on Friday, experts believe Mark Zuckerberg will be relatively unworried by the recent slump. David Kirkpatrick, author of The Facebook Effect, told Business Week: "(Zuckerberg) thinks of it only in terms of how it affects the company's strategic and tactical opportunities." However, he added that "The market is not convinced of Facebook's future."